Get ready to start filming in 360-degrees as there's another camera heading your way. Preorders for the Vuze 360 camera are now open with shipping expected to go out later this fall. Priced at $799, it's certainly not a cheap device, but it is more affordable than many other cameras on the market. 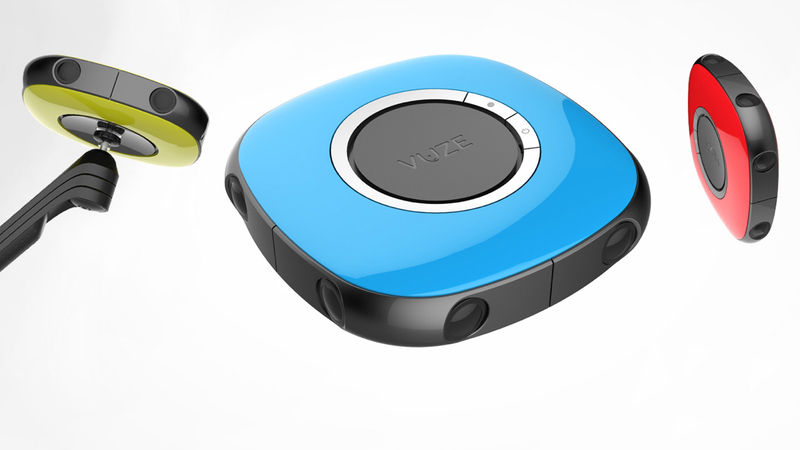 The Vuze also comes bundled with a software studio, VR headset, specially engineered 'selfie stick' and tripod, carrying case and a newly designed handle for alternative ways to hold the device. The flat, colorful camera may also seem unremarkable at first glance but it's capable of shooting images and videos with its eight full HD 180 x 120-degree cameras lenses and stereophonic sound. You'll get up to one hour of video on the camera's battery and SD card with one minute of processing per minute of footage at the touch of a button. The consumer 360-degree camera market is certainly heating up as Samsung also recently announced a price tag of £299.99 for its Gear 360 camera with preorders starting now in the UK. We've had a chance to play around with Samsung's device and it works easily enough and we're interested in how it will stack up against the Vuze.